On May 21st, 2018, the Supreme Court of the United States released its much anticipated decision in the case of Epic Systems Corp. v. Lewis. In a highly controversial (5-4) opinion, Neil Gorsuch, writing for the Court’s conservative majority, upheld the permissibility of workplace arbitration provisions. This is an extremely important decision for both employers and employees. It helps to clarify the type of relationship that a company can have with its workers, and provides more clarity on how companies can resolve employee disputes. In this post, our top-rated West Palm Beach employment law attorneys provide a brief overview of this decision and explain its implications for companies and workers in South Florida. In this decision, the nation’s highest court was actually reviewing three separate cases involving workplace arbitration provisions. Though each case has its own unique set of facts, they all had one thing in common: employees were challenging their employer’s right to use binding arbitration provisions within employment contracts. 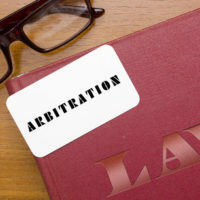 The core issue at stake was whether or not employers could compel arbitration to handle certain types of employment law claims, thereby avoiding lawsuits from workers. The Supreme Court’s newest member, Justice Neil Gorsuch based his decision primarily on his reading of the Federal Arbitration Act (FAA). In the eyes of Justice Gorsuch, federal law strongly favored upholding arbitration provisions. This, he believed, also extended into the realm of workplace issues and employment contracts. In sharp a dissent, Justice Ruth Bader Ginsburg countered that this decision would cause damage to workers. She argued that it was not only incorrect, but that as a result there would be a significant underenforcement of key federal labor regulations. In the short-term, this decision is unlikely to result in significant changes. There are many companies that already use arbitration clauses within their employment agreements. The Supreme Court has now reaffirmed these employers’ legal authority to use such provisions. It is worth noting that there have been calls for political reform following this decision. While there is no reason to believe that any statutory changes are on the immediate horizon, this issue must be watched. For workers and companies, this decision should also serve as an important reminder to carefully review any employment agreement that they sign or that they require their employees to sign. The specific terms of any employment agreement are extremely important. You should not sign any employment agreement unless you are confident that the terms are reasonable and the agreement adequately protects your legal rights and financial interests. At Pike & Lustig, LLP, our experienced Florida lawyers have extensive experience handling a wide range of business and employment arbitration issues. To learn more about what our law firm can do for you, please call our West Palm Beach office or our Miami office today to schedule a free, no risk initial consultation. We look forward to assisting you.